Like many Americans, you probably have some sort of pet, be it a kitty, dog, bunny, or reptile. DealDash wants to help you keep your pets safe over the holidays. December is here and the Christmas season is in full swing, from the music on the radio, to the decorations, to the baking, and the present wrapping. Which one of these activities doesn’t match the other? The music! Do you know why? Because all of the other activities can be harmful to pets. Let’s go through the other activities, and I will explain why they can be harmful to pets, and what you can do to help keep your pets out of danger. Decorations – Decorations can be dangerous to pets, especially dogs and cats, because they are prone to playing with them, chewing them, and sometimes accidentally ingesting them. Playing with your plastic or cloth decorations shouldn’t be too much of a problem, if if you have fragile glass ornaments or snow globes, keep them out of the reach of your pets. One wrong move and they could shatter the glass, hurting themselves in the process. You also need to be very careful that your pets don’t ingest any tinsel from your tree. 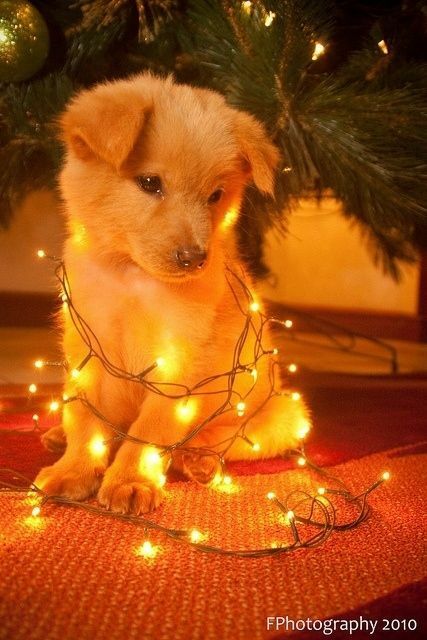 If you have a pet that you know can’t resist tinsel, maybe you should substitute a garland instead. Baking – Baking itself isn’t too dangerous for your pet, as long as they don’t touch any metal pans while they are still hot. However, chocolate can be extremely harmful, and in some cases even fatal for dogs. If your dog just has a small taste you will probably just end up with a mess to clean, but if they accidentally have a large amount you should call your vet. Remember, your pet is counting on you to keep them safe. Present wrapping – Present wrapping is another activity that sounds relatively innocuous but can be a danger to pets. Why? Because if a cat or dog accidentally swallows any present-wrapping ribbon it can get caught in their intestines and cause a bowel obstruction. It’s a relatively rare occurrence, but please keep it in mind when you are wrapping your presents this year. I hope that you found this article on pets helpful. DealDash has many pet items up for auction. DealDash has dog, cat, bird, and fish items up fairly often. Visit DealDash now to check out the auctions. Good luck and happy bidding everyone! This entry was posted in Uncategorized and tagged cat, Christmas, Deal Dash, DealDash, DealDash Auction, dealdash auctions, dealdash.com, dog, holidays, pet on December 6, 2016 by . No matter what kind of house you live in, I bet you want it to smell yummy. Here is a guide on fall simmer pots from DealDash. I don’t know about you, but I end up cleaning my house myself most of the time, and one of the things that I like to do is make the air smell yummy and clean. I have found quite a few handy tips and tricks through the years to make the house smell good – from chemicals to candles to natural methods. Here are a few helpful hints from DealDash. Around this time of year the air in the house tends to get a little stale due to no windows being opened, and people opening and shutting the doors as fast as possible to keep out the chilly weather. There’s a way to freshen up the air in your house without too much effort – simmer pots! Making a simmer pot is extremely easy. There are two basic methods – on the stove or in a crock pot. Both have their positives and negatives, let’s talk about both methods. To make a simmer pot on the stove you just need to combine the ingredients together, fill the pot with water, and simmer away. The idea is to simmer the pot all day, adding more water as needed. This way gets the maximum scent, and also has the added benefit of extremely easy clean up. However, if you have small kids, pets that jump onto the counter, or a gas stove – this method is not for you. Making a simmer pot using a crock pot is easy and you can let it simmer all day without even having to watch it, other than to just check in occasionally to make sure that it doesn’t need any more water. I don’t feel that this method spreads around as much scent, but it’s the only way to go if you have any safety concerns about the stove method. As for what to put in the simmer pot – it’s up to you! I will include a list of some possibilities, mix and match the ingredients as you see fit. 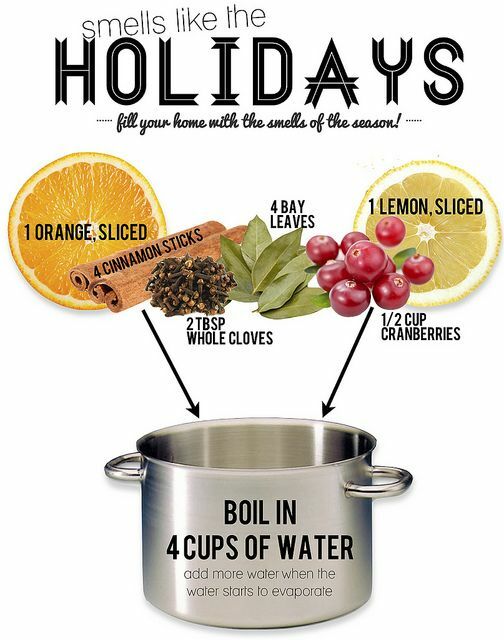 I hope that you enjoy making your house smell yummy with a simmer pot. If you need a new pot or slow cooker, DealDash has them. DealDash has many kitchen items. Check DealDash first, at this link here. Good luck and happy bidding everyone! This entry was posted in Uncategorized and tagged cleaning, cooking, crafts, crock pot, Deal Dash, DealDash, DealDash Auction, dealdash auctions, dealdash.com, fall, holidays, ideas, slow cooker on November 25, 2016 by .